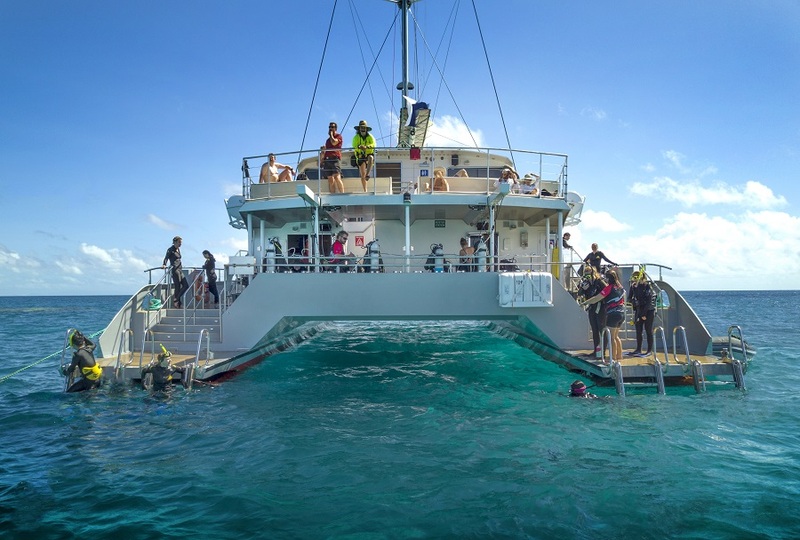 Our Great Barrier Reef Premium Snorkelling Tour whisks you away for the day on a luxury catamaran cruise out to the Great Barrier Reef. We'll visit two mesmerizing and lesser-visited reef sites during the day, where you can snorkel, try scuba diving or simply relax on board the boat. Throughout the day, you’ll have the chance to hear from an Eco accredited marine naturalist, as well as chill out and relax on deck with a delicious chef-prepared tropical buffet lunch and fresh tropical fruit. 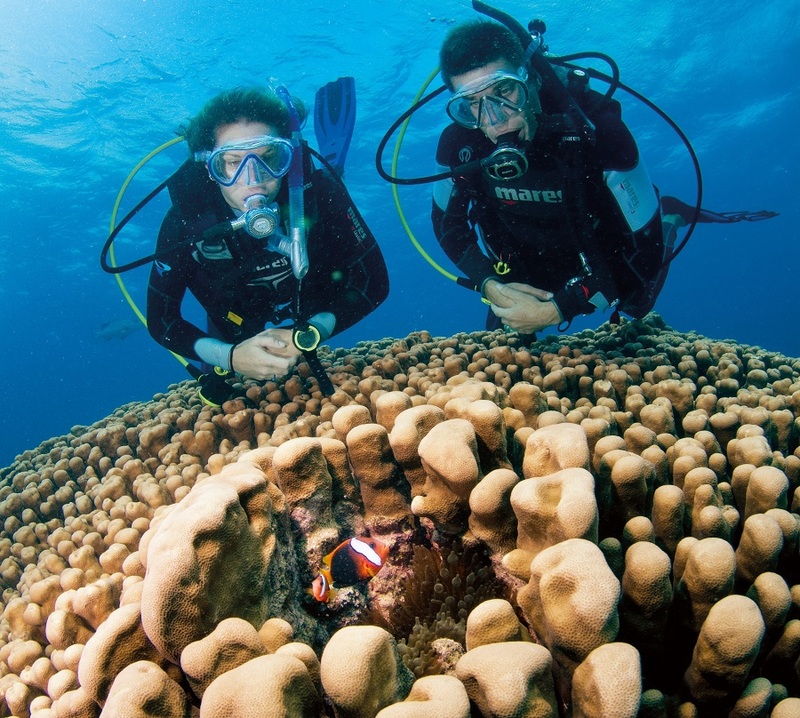 Our Great Barrier Reef Premium Snorkelling Tour is perfect for those wanting to see the Great Barrier Reef in Style. 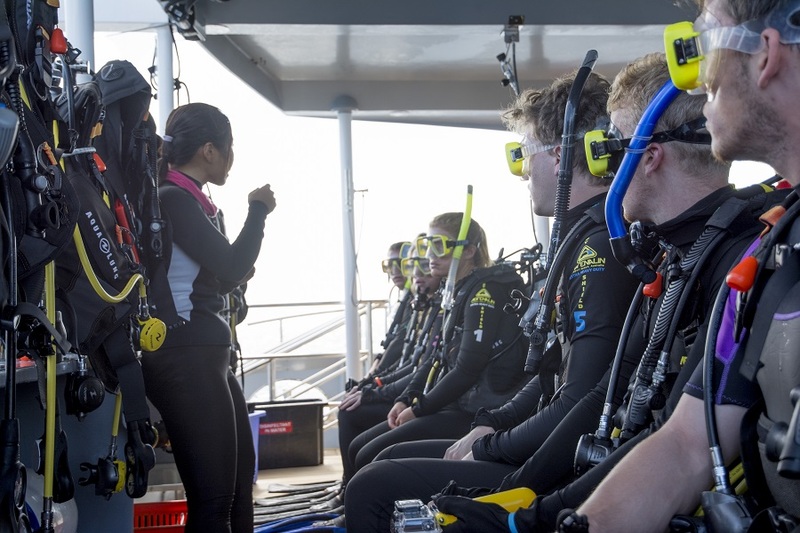 Scuba Diving: $45 per dive if pre-booked. You can upgrade to dive on the day for $70 for the first dive and $45 for the second dive. 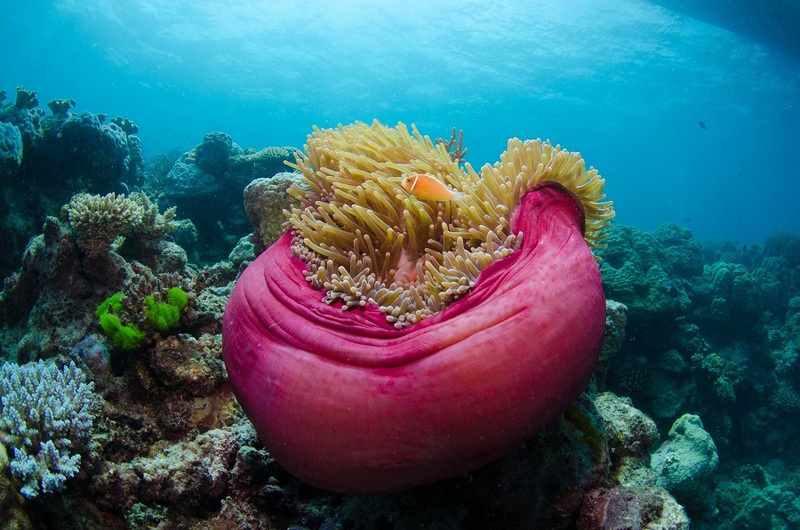 The Great Barrier Reef is one of the most fascinating natural wonders in the world, spanning the coastline of Queensland and promising visitors a colourful marine world and rich selection of reefs. A day trip out onto the water is the perfect way to get an introduction to the unique wildlife and incredible scenery that make up the Great Barrier Reef. You’ll have the chance to dip below the water’s surface and snorkel amongst the vibrant collection of fish. 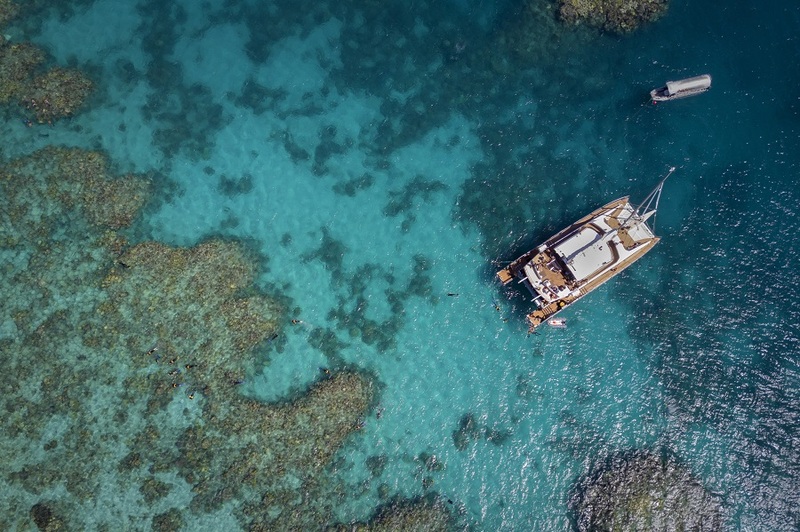 We’ll take you out to some of the most mesmerising locations in the Great Barrier Reef, giving you the chance to explore two lesser-visited outer reef spots. There, you can dive and snorkel with the resident turtles, fish, and corals. We start with a luxury catamaran cruise from Cairns as we make our way out into the reef. On the way, you’ll get to enjoy a morning tea and have a talk by a knowledgeable marine naturalist who will share stories about the natural history of the area. Once we arrive at the first dive location, you’ll be briefed on the best way to explore the underwater world. If you’d rather stay on dry land, you can sunbathe on the deck or kick back and relax with a drink. Lunch is a tropical buffet, which you’ll eat before we head to our second outer reef location. Again, you can swim and snorkel in the crystal clear waters, or simply relax on board the boat. As we sail back to Cairns, you can enjoy a refreshing beverage while enjoying the spectacular views that surround you. Please make your way to the Marlin Marina, 1 Spence Street Cairns. You need to check into the Reef Fleet Terminal by 7:30am.